I am a student of Mrs. Signaigo’s 6th grade class at woodland park Middle School. I discovered the news today because he is my student teacher. I would like to tell his parents how very sorry I am and I apologize. I have been crying and my whole school is devistated. I was informed that this was his last week of student-teaching and then he would become a teacher, his dream. If anyone has any information on his favorite charity it would help because my class wishes to donate in his name. Please just comment on this for me. I am very sorry about this incident to all of those who loved him. I too am a student of Mrs.Signaigo. Brian has been student aiding for us about 4-5 months now. He was such a nice person, If I didn’t get something of if I forgot he would talk to me and help me through it. Once I heard the news I was DEVASTATED. I just saw him on Friday and it was still such a shock to me. I still am blown away. My deepest condolinses go out to his family. He was such a nice person to lose so early in life. I hope all the 6th graders in Mrs. Signaigos class will keep him in their hearts. Because I know I will. i will miss mr.s so much he was such a great teacher , i think he must have been one of my favorite teachers! when i found out this morning me and my friends could not stop crying from this tragedy.i want to say sorry to his family and friends but we all know that we will all miss him.every morning he would always have a smile on his face no matter what , i just cant put my feelings into words my heart feels broken. he was a man who was loved by everyone.i will miss him terribly.if anybody knows any thing about a funeral or something dont be afraid to email me. Thanks for all comments and replies. I will keep everyone posted on the situation as I get the information. Every on here at Rancho Minerva will keep him in their thoughts. his spirit is now set free. No one will forget when he would start the beat of “We will Rock You”, and we would continue it for two times . If we were quiet after we would get a class point. He loved CORE 1 better, and even if we weren’t quiet he would still give us the point. Brian Simjanovski is now on his way to ETERNAL LIFE. MR.S R.I.P. hello,I am a student at woodland park and I heard the news around the school. I see him once and awhile on the campus but I never really got to know him that well. It is very sad to hear that he died and when I heard the news I was shocked.I can’t believe that he actually died!! Everyone that had him as a student teacher thought that he was very nice and supportive. I can also see from looking at him that he was a kind guy. I am very sorry for what his family is going through right now, and I hope that everything will be ok. Thanks for your time and I hope Mr.S rests in peace. This is Riste, Brian’s brother. I wanted to say thank you for the kind words and for posting this on your site. He admired what you did and was grateful for what you taught him. 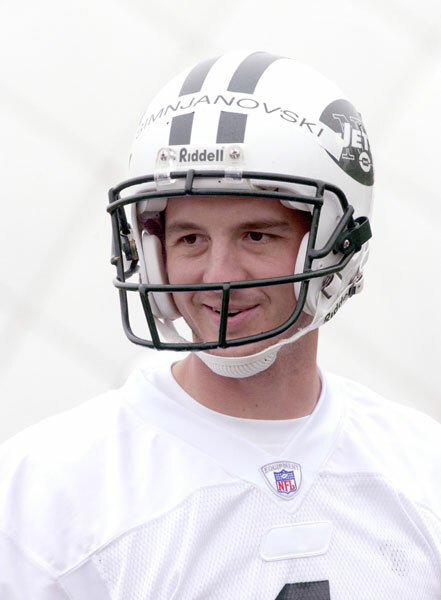 My email has been posted if you would get a hold of me – I would love to help you plan a kicking camp in his name. I was in shock when I read about your brother’s accident in the paper this morning. I have such fond memories of you and Brian from middle school. I see your mother from time to time at Ralph’s and she is always raving about you and Brian; telling me what you two are up to. I loved hearing the stories about two of my favorite former students. Please tell your mother and father that I am thinking of them. I am profoundly sad; I have a very heavy heart. I can’t even imagine what you are all going through at this time. Brian was a treasure. I am still in shock. I worked with Brian at his second job almost every day. I have come to know him well. He made me laugh every day at work. He would always get onto the kids at work when he would find out they were goofing off instead of paying attention to school. He was also well known from our soccer club. Great athlete everyone is saying. I miss him terribly. I am so sorry for his family’s loss. I thought you kind folks would appreciate this. His funeral will begin at 10:00am Friday (at the same address) and he will be escorted by police and funeral procession to the cemetery. Im sorry to hear about Brian. He’ll be missed so much. Such a great person and was liked by everybody. Ill never forget the first time i saw him kick the football for Coach Ruscetta. I was like” WOW”, we’ve got ourselves a new kicker. He’ll be missed by everybody. He was my brother-in-laws brother. I am going to miss him more and more everyday. He constantly comes to my mind, which continually reminds me of what a cool, loving, honest person he was. My family is having trouble getting through the days. Every second of the day I will wonder why such a tragedy happened to such an exceptional person. Each moment I begin to feel more and more heart broken. We have shed many tears and have prayed for strength. The pain of your death is excruciating. You are awesome Brian. I will cherish the autographed football you gave me many years ago for the rest of my life. You are awesome Brian and loved by many. One day we will meet again. I love you Simnjanovskis’. I am too, one of his students. It is very shocking, because I saw him this past Friday; it’s very devistating to know someone who died. I didn’t know him too well, but I could tell he was a good person. I found out today, and I was just shocked. I didn’t have any emotions; I just sat in my seat, frozen. One of the counselors even asked me okay. Just, wow. I know we all loved him, and hopefully is in a better place now. We’re going to miss you, Mr. S! Your absence has brought forth many difficult emotions. The last few days have been horrific. I only hope that your mom and dad are much stronger than I. I know you were an exceptional son, brother, grandson, brother in law, friend, etc. I too agree with the previous comment, we shall meet again. One of my many regrets is that we didn’t spend more time as a family. I am extremely sorrowful and consumed with grief. I am unable to express the sadness that I am enduring as well as the emotions your immediate family must be experiencing. I continue to learn many lessons due to your passing. You are loved by all and truly a blessing. Oh my god. I am just so shocked. This is devistating. Brian was my teacher’s aid- soon to become a teacher. I helped him grade papers, and we would always laugh and have a great time. We even made up a joke. A really great joke that will be in my heart forever. He was a good man, with good intentions. He actually tutored me for History, and I passed! God I’m actually crying right now. Brian was just so fun to be around with. He was a star athlete, and he would get all of my friends for a tutor session. He helped my best friend get a good grade on his Rome project. I… just don’t know what to say. I just can’t believe this happened. I thought it was a rumor, because in my 2nd period class, everyone told me! I was like, “Yeah right!” And sat down. Then when the principal came, I was like, “Oh.” And then it finally hit me. Mr. S is gone. He will be in our hearts forever, but I know for a fact, we will all see him again. “This is the part where we take a step back, and realize how fragile life is.” – Mrs. Signaigo. I am so glad you wrote. I am on vacation and am not enjoying it one bit. All I can think about is Brian and his dorky kind of cuteness. We always made fun of him, and he always returned the compliments. I do not know how I am going to return to work without Brian being there. I miss him so much. Mom and Dad, you raised a wonderful boy into a wonderful man. hi im Larry Morales and im a student of his and its very sad that he past away. I just wanted to say that i miss him and so does all of the class. We love him and he was the best student teacher we ever had. And he was a very awsome at football and was cool at the turkey trout at our school. i miss him more and more every day………..
Nikogas nema da te zaboravime i vecno ke zivees vo nasite srca. Dobriot glas se shiri mnogu brzo, a loshiot ushte pobrzo. Taka i vesta za smrtta na Brian stigna do rodnite kraishta na negovite roditeli. Bevme shokirani, ne mozevme da poveruvame deka sportistot so prekrasna nasmevka zamina zasekogash. Ne postoi zbor shto moze da gi uteshi najbliskite, ne postoi lek koj shto moze da ja namali bolkata. Mnogumina velat deka vremeto gi leci site rani no ne e taka. Vremeto e samo eden noz koj so tekot na vremeto istapuva, no sepak bode dlaboko vo nashite srca. Za nieden roditel ne postoi pogolema zaguba, od zagubata na najmiloto, na svoeto cedo. No ne, ne treba da zalite treba da bidete gordi na svoeto cedo. Za svojot kratok zivot uspea da go dostigne vrvot, uspea vas da ve napravi najsrekni i najgordi roditeli. Iako so svoeto prisustvo ne e pomegu nas, toj zasekogas ke ostane vo nashite srca. Za negovite uspesi ke se zboruva godini i godini ponatamu… a so toa ke bide poshteden od zaborav. Toj ja ispolni misijata na zemjata, se vpisa vo istorijata na slavnite, toj ke bide idol na mnogu mladi shuteri koi ke trenjiraat ragbi. Denes toj e angel koj shto se naoga na neboto i ne shtiti od site zla. So golema pocit do semejstvoto Simjanovski od Dimco i Radica Kuzmanoski, Tetovo, Makedonija. So dlaboka bolka ja primiv taznata vest za smrtta na Brian i se uste nemozem da poveruvam deka zavrsi zivotot na mladiot Brian. Na nebesniot svod zgasna uste edna sjajna zvezda na mlad zivot i sportist. My family and I were shocked when we learned about Brian’s death today. Our deepest prayers prayers are with you. I cant explain how saddened we are. I personally was looking forward to the day that I would meet Brian for the second time because I have only seen him once in my life, when I was just under one year old. I personally have heard many great things about him and deeply wanted to learn more about my great relative. Our Deepest Thoughts and Prayers are with you. Thanks to everyone for kind words.. I have just nothing to say..
R.I.P my dear cousin ! Covekot saka da izvlece radost od svojot kratok zivot,treba da nastojuva da go razubavi zivotot,no ne samo svojot tuku i na drugite,zosto negovata radost zavisi od radosta na drugite.Brajan ti bese toj koj sto nosese radost na site koi te poznavaa i zatoa sekogas ce ostanes zapameten vo nasite srca ,neka ti e lesna zemja pocivaj vo mir. I feel very sorry for his family. Dear Zorka, Joko and family. Words can not express my sympathy for you. I pray that God will hold you in his tender loving care. The first time I saw Brian in our EDUC 350 class over a year ago I thought he was a cutie. As I got to know him I realized he was as beautiful on the inside as he was on the outside. His love for his family (especially Lola) demonstrated to me the tremendous value he placed on being loved and giving love to others. Watching him grow as my friend and as a teacher candidate in the middle level program was my pleasure and a privilege. I will miss him dearly. We did not know Brian, but we know you Zorka from Ralph's. You made each customer feel special. Hank and I, (Vivian) are so sorry for the loss of your son Brian. Words are inadequet at this time. Cherrish your memories, I know that Brian is in a great place, he was special. Dear Riste, My heart goes out to you and your family, I am so sorry for your loss. The world lost a great person when Brian passed away this past Sunday, and we will miss him dearly. 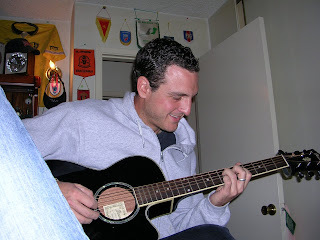 I have so many memories of seeing Brian at the soccer fields playing, watching or enjoying the atmosphere. He was a big kid but also had a big heart to go along with his frame. My thoughts and prayers are with Brian and the Simnjanovski Family. Along with being one the most talented players I ever had the fortune of playing soccer with, Brian was also one of the most genuinely nice people I ever had the fortune of knowing. It was great seeing him again at the Pegasus re-union game this past fall. He and all of his family are in my thoughts and in the thoughts of my family. Brian was an outstanding individual. My son had the pleasure of playing football with him at EHS, and I had the pleasure of working with him last year at Paloma Elementary School where Brian was a reading tutor. He was kind, intelligent, athletic, and had a good sense of humor. He will be missed and the education world will suffer a huge loss. Eric, Kathy, and Kristopher Shirley. I am very sorry to hear about your loss. Brian was a great guy and I will always remember the good times and the laughs we shared on and off the football field. My thoughts and prayers are with you. 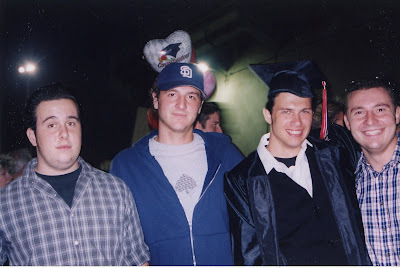 Brian was a great friend in middle and high School to everyone who associated with him. He will be missed and our thoughts and prayers are with his family at this time. I went to high school with Brian. He had the biggest heart and always had a smile for everyone. He will be forever missed. I am grateful to have known him. 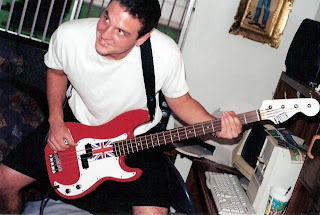 Thank you to each and every one of you that submitted a kind entry about Brian and our family. I will forward these words to my mom and dad. If you wish to get in touch and you cannot make it to the services on Thursday or Friday, my email is: riste@verizon.net. 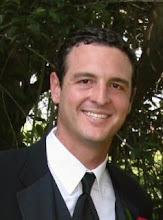 Brian was a great classmate, teacher, and friend. He was very laid-back, and easy to be around,-especially during stressful times. I enjoyed his sense of humor, and his willingness to help others at the drop of a hat. Mr. S was my student teacher for History.He was a great man with a sense of humor. he will truly be misssed. dear simnjanovski family, our hearts and prayers, are with you . our grandson left us april 11, also a good athlete, born in escondio. we know your heart-break and our prayers will be with you for comfort and trying to understand why. sincerely dave and sandra . I was a friend of your son and I am very sorry for your loss. I will pray for you and the rest of your family. Brian will always be in my heart. I'm so sorry to hear about Brian. Over the years as I would see you Zora, you had such beautiful things to share about your family. It was evident that you were so happy and proud of Brian. What a talented son! Please hold onto these precious memories of Brian and hopefully they will keep you strong and bring happy thoughts to you in the future. Although Mark and I cannot know what you must be going through at this time, please know, we sincerely send our condolences to you and your family. My brother lost his only daughter two years ago in a tragic automobile accident as well. She was only 20. So truly, I can imagine your pain. We pray for you and your family. After studying in the credential program with Brian for 16 weeks, and completing student teaching next door to his classroom for athese past 8 weeks, I have gotten to know and respect Brian tremendously. I will will remember him for his sense of humor and his love of music, sports, and history and above all his family friends and his students. He will be missed, but moreso, Brian will be remembered.I am so sorry for your loss My condolences to your family during this difficult time. 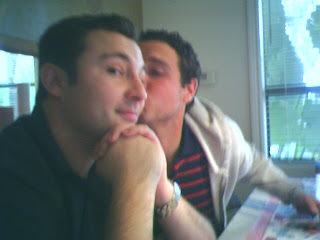 Joe and Zorka - May you find peace in the wonderful relationship you developed over the years with Brian. In the months to come, hold onto those great memories and take comfort in the the time you were granted to develop them with him. 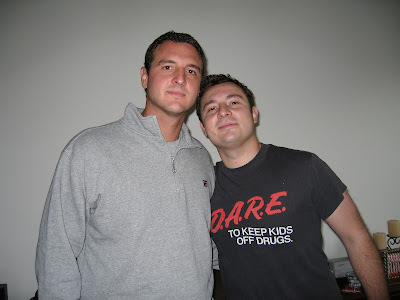 I remember first meeting Brian on the soccer field some 15 years ago where we were teammates and friends. I am so sad to learn of our loss. My thoughts and prayers are with Brian and your family. Dear Friends ~ we were so sorry to hear of Brian's death; our prayers are with all of you at this difficult time. Our family has only fond and very fun memories of sharing years of Escondido soccer with all of you, and we watched our boys become friends on and off the field. Our thoughts and prayers will be with you forever. He was probably the best I've seen punt for the Aztecs since becoming a season ticket holder. That is awful. My prayers will be with his family. I am sorry for the loss in the Simjanowski Family. My condolences to the family, and thanks to Brian for the good job he did for us on the playing field and representing the Aztecs. The U-T doesn't have the staff anymore to check into stuff like this. It probably came across as a police report or CHP report and the U-T simply reprinted the facts. The kid on the edit desk likely knows nothing about fball or sports, even. Someone should notify the Athletic Dept. I'm sure they'd like to know if it is indeed our former punter. Also, the N. County Times would likely dig into this more, if someone wanted to lob them a call. The facts seem to add up. I ran into his Mother when she worked at a Von's in Escondido. She spoke up as I was in "gear". Proud parent who has suffered a great loss. My prayers are with those left behind. Prayers, and sympathy go out to his family. This is very tragic. Horrible news. God bless him and his family. 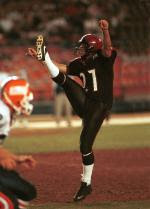 He was a great punter while in an Aztec uniform. I believe you are correct. I think Kirovski was his cousin. 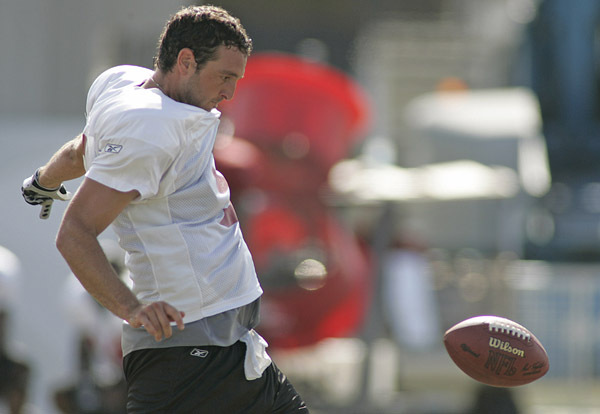 Brian could get some serious hang time on his punts. He also seemed to have mastered the technique the Scifres does so well for the Chargers (and Darren Bennett before him) of having the ball bounce back inwards away from the goal line. Way too young. Just awful. I thought he had a shot at the NFL as he could kick them high and long. He was a good kid, I had sevral classes with him at Escondido high. He was kinda shy and didn't say much but always had a smile. He was a friend and will be missed. My condolences to his family. I will put him on our prayer list. A very sad passing for such a young man. VALLEY CENTER – Former San Diego State football player Brian Simnjanovski, who became one of the premier punters in the Mountain West Conference after joining the team as a walk-on, died Sunday night in a one-car accident. Officials said Simnjanovski, 27, of Escondido, was driving his Audi sedan south on Valley Center Road just before 10 p.m. Sunday when he failed to negotiate a curve at Vesper Road and crashed into a tree. Simnjanovski, who was pronounced dead at the scene, was a student at California State University San Marcos and lived with his parents, officials with the Medical Examiner's Office said. Simnjanovski, who played at SDSU from 1999-2002, was a standout soccer player who never played football before his senior year of high school. 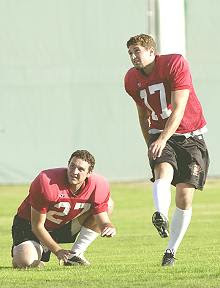 He handled kickoff duties as a freshman before emerging as one of the top punters in the country the following season. 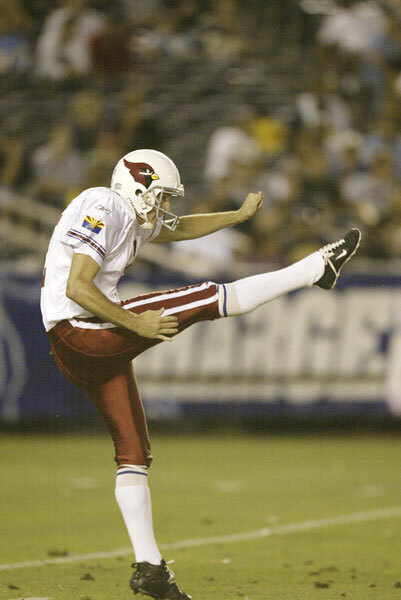 In 2000, his average of 42.8 yards on 56 punts ranked second in the Mountain West Conference and 14th nationally. Simnjanovski's average was the seventh-best in school history, a performance that brought him second-team all-conference honors. 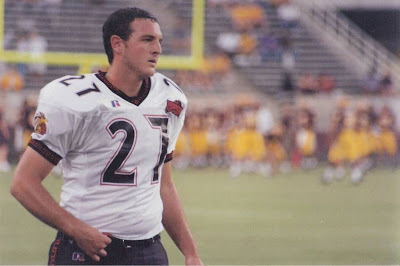 During his junior season in 2001, Simnjanovski again was named to the all-conference second team when he averaged 43.6 yards, a mark that then ranked as the third-best single-season total in SDSU history. He had 14 punts of 50 or more yards and had another 22 downed inside the opponents' 20-yard line. 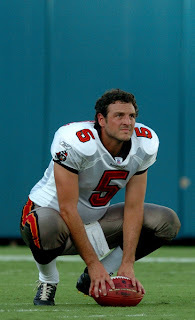 Named to the Ray Guy Award watch list in 2002, an honor annually presented to the nation's best college punter, Simnjanovski averaged 42.1 yards on 60 punts as a senior, garnering all-conference honorable mention. Simnjanovski spent time with four NFL teams between 2003-06 but never played in a regular-season game. 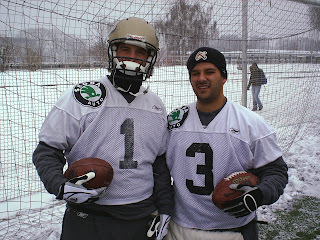 While with Tampa Bay in 2005 he was allocated to NFL Europe, where he played for the Berlin Thunder. He concluded his NFL career after being released by Tampa Bay during training camp in 2006. Simnjanovski, who earned All-American academic honors during his junior year at SDSU, ranks third in school history in career punts (178), career average (42.8) and career yards (7,627). He ranks fifth in season average (43.6), seventh in yards for a single season (2,747) and ninth in yards for a single game (421). Brian worked hard at this part of his game. If you remember his first few years at State, Justin Sisco handled the short punt situations because Brian kept putting them in the end zone, by the time he was a senior he was really good pinning them deep. I was floored when I saw the article in the UT. It's the kind of thing you really don't expect to read in the morning, and it comes as quite a shock. 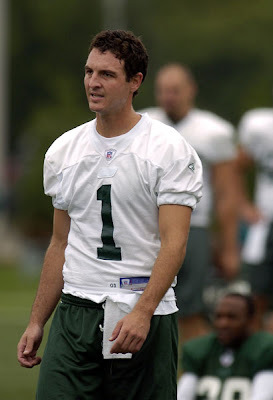 He was a darned good punter, but more importantly he seems to have been a really good guy. It's just so unfortunate and senseless - I really feel for his family. I was so sad when you told me about your brother. I did not know him but your stories of you two make it very heart braking. My heart goes out to you and your family. I lost an adopted brother about 10 years ago and it was devistating. Once again so sorry. Although I only met him once, I remember a gracious and kind human being. And I know if Brian is anything like his brother, he was not only a great athlete, but a special, kind person. God bless him and those he left behind when he left this world and moved on to the next. You are my friend, and I understand the bond between you and Brian. He always made me laugh and smile, and I know how proud you are of him - and I think he does too. Please know that you and your family remain in our thoughts and prayers. Thanks for the support and prayers - we appreciate it. I'll keep posting pictures as they come in. I love the pictures. Keep posting them, my friend. Riste thank you so much for making this site. It has been almost a year and I would love to see more comments posted on this site. This is in remembrance to Brian and I never want his presence to be forgotten. Brian we love you and miss you so much!! I miss my best friend...I think about you every day. I cant help but cry when I think of how different my life is with out you. 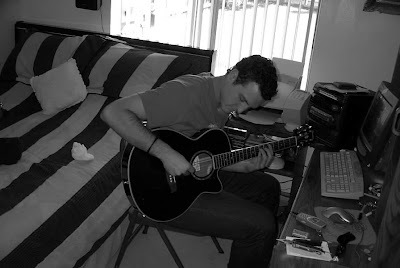 brian....i can not believe its gonna b a year since you've left. we all miss u @ work... happy easter and ..see u in the next life. 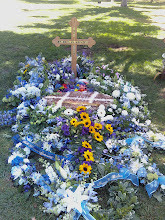 Posted some new photos and content today - thanks to all who attended is year memorial. Brian's one year (exactly) is on May 10 and his birthday is on May 29th, 2010. Thanks so much Sarah for the condolences Sarah. It means a lot to us that you not only found the site, but also posted. What a wonderful guy. Thanks for this great site. Makes me proud to be an EHS grad. Once a Cougar, always a Cougar. Someday we'll all be together- love to you and your family. Thanks for the kind words! Many great memories at EHS - such a remarkable group of people that have been and continue to be groomed there...kind, generous, hard working and professional folks always turned out of that great school. Blessings and thanks for the kind words again! This is Laurent Demosthenidy. I played for Ken Suzuki's 78s and 79s and sometimes with you guys too. Your brother was a great guy. I've been in New Orleans for almost ten years now but I ran into Brian in Poway in 2005 or so and we both remembered one another. I am deeply saddened by to learn of Brian's passing and so sorry for your loss. We had lost touch over the years. I thought of him today and looked him up. This has been an unexpected and heart-breaking discovery. Thank you, though, for providing this website memorial for me to send my condolences. I knew him through his closest friend/teammate/roommate when we were in college. Of all the guys I met from the team, he was by far my favorite. 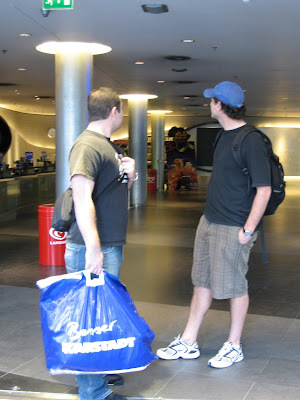 He was quiet and unassuming, and also kind and humble. Such uncommon traits in such an incredible athlete. I will miss his sweet, sincere spirit and gentle, goofy sense of humor. His love for all of you was clear from how he spoke of you. Though it has been several years now, I know the pain of losing him never leaves completely, but I pray for your healing and peace. Thanks for the kind words Williams!